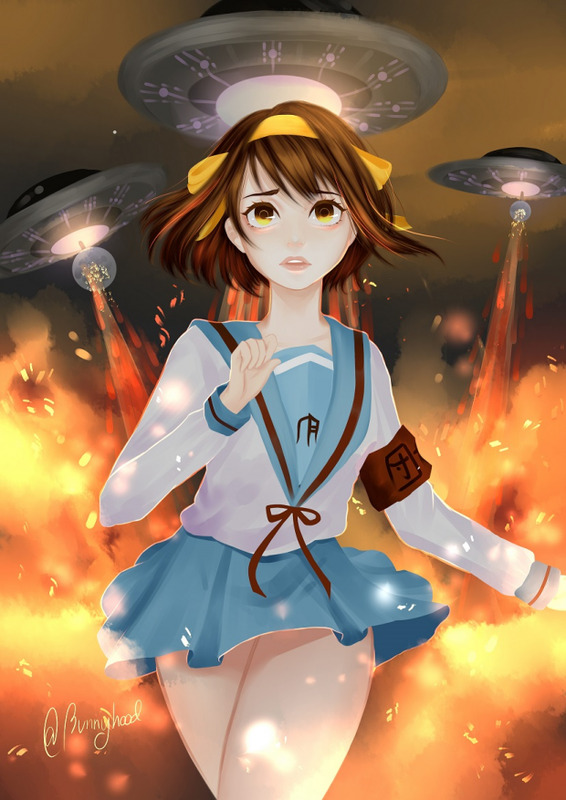 I'm Haruhi Suzumiya, from East Junior High. First off, I'm not interested in ordinary people. But, if any of you are aliens, time-travelers, or espers, please come see me. That is all! I have artofbunnyhood permission to post this art piece.